Youth will gain hands-on experience working with instructor(s) to repair and maintain proper care of a bike. Increase students’ knowledge of bike safety and basic laws of riding. Youth will participate in team building and leadership activities related to bike. Earn-A-Bike is a hands-on learning and earning program for youth ages 10-17. Over the course of 8 sessions, participants learn the basics of bike repair and maintenance as well as safe riding on the roads. Each session there are discussions, along with interactive activities to understand and improve team building skills. 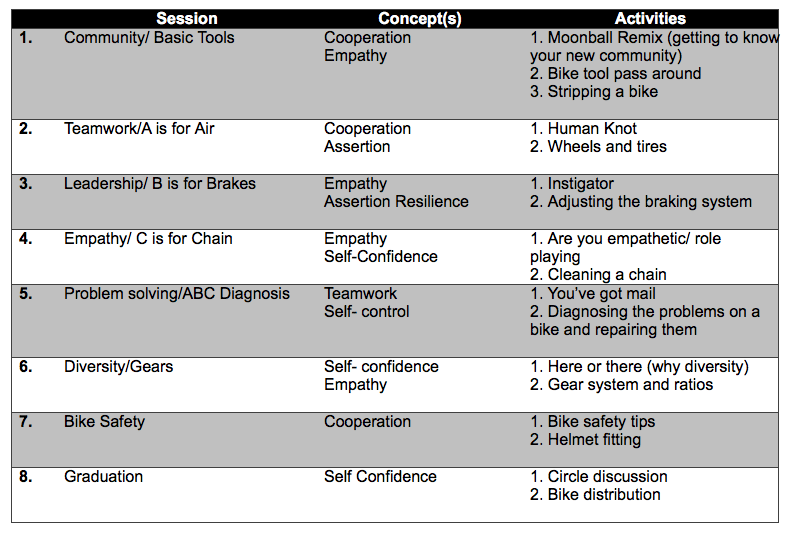 Students who complete at least 6 of the 8 sessions will earn their very own bike, along with a helmet and tools. If you would like to help sponsor this program and reach more children, click here.